Formal suit made from a grey mohair and alpaca wool blend. 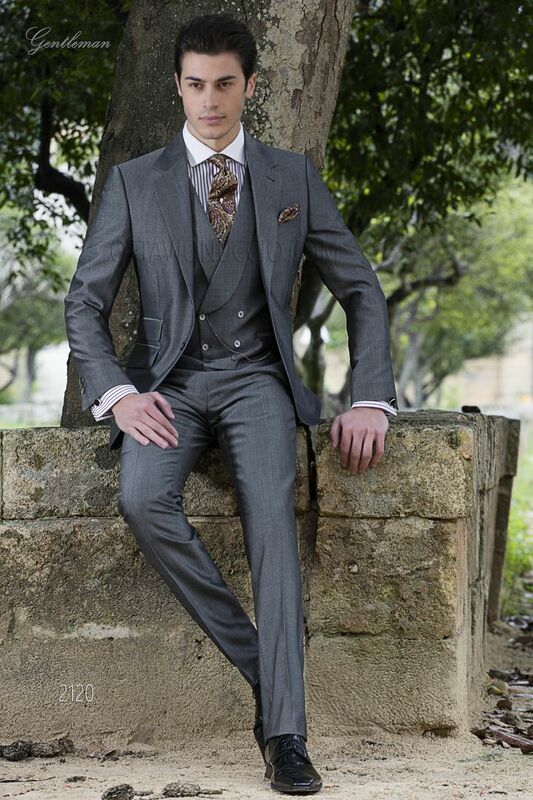 Grey Mohair Alpaca wool blend wedding Suit, slim fit. Notched lapel with 2 corozo buttons closure. Flap pockets, ticket ... Grey Mohair Alpaca wool blend wedding Suit, slim fit. Notched lapel with 2 corozo buttons closure. Flap pockets, ticket pocket on right side to make the look more casual and angled buttonholes. Tie and handkerchief set made from 100% burgundy jacquard silk. Handmade.